Make the best food decisions for your health, every day, every time. Browse healthy recipes that inspire healthy eating that are not just low calorie, but are also abundant in nutrition or health promoting properties like anti-cancer or cardiovascular protection. Pack every bite with the most nutrition. Recipes are scored out of 10 points on on nutrition density. Points are deducted for too much sugar or sodium. 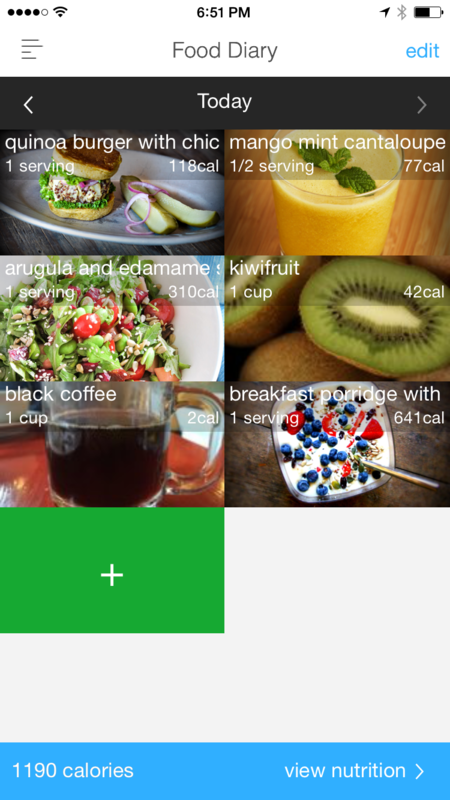 Use the score to identify the healthiest recipes. Go beyond just tracking what you eat. Wholesome suggests whole foods to fill nutrition gaps so you know the healthiest foods to eat next. Easily find out how to enhance your diet. Browse whole foods and learn about their nutrition. On the food page, you can clearly see at the top what nutrients the food is ranked 'excellent' for. In the 'tips' section of any food page you can learn how to select and prepare whole foods for the most nutrition. It also includes information on whether or not to buy organic. Wholesome also has a list of the best food sources for each nutrient. For example, you can easily see the best sources of iron in a list view. Wholesome tracks 90 nutrients including: macronutrients, vitamins, minerals, phytonutrients, and omega 3's and antioxidants. Using Wholesome you can easily identify gaps in your nutrition and get whole food suggestions to improve your diet. You can track foods or an entire recipe with just one-click. Save your own recipes in the app so that you can easily track them anytime. Wholesome syncs with Apple health. Wholesome Pro goes beyond just tracking foods, it also suggests what to eat next to fill your nutrition gaps. So if you didn’t get enough iron and protein for breakfast or lunch, Wholesome will find foods rich in both for dinner. You can get suggestions for the day or get suggestions on your trend over time. Group foods together within the app to create a recipe. Add a recipe from a cookbook and include a photo of the instructions. 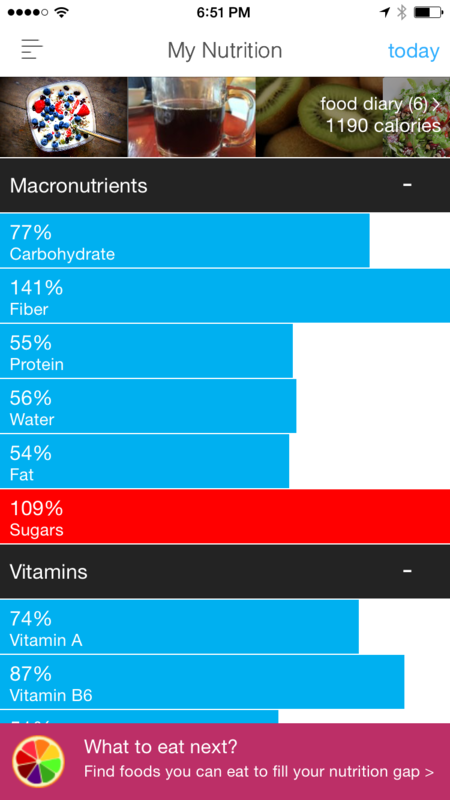 Bookmark and calculate the nutrition of recipes on the web. Craft meals to maximize the nutritional value. 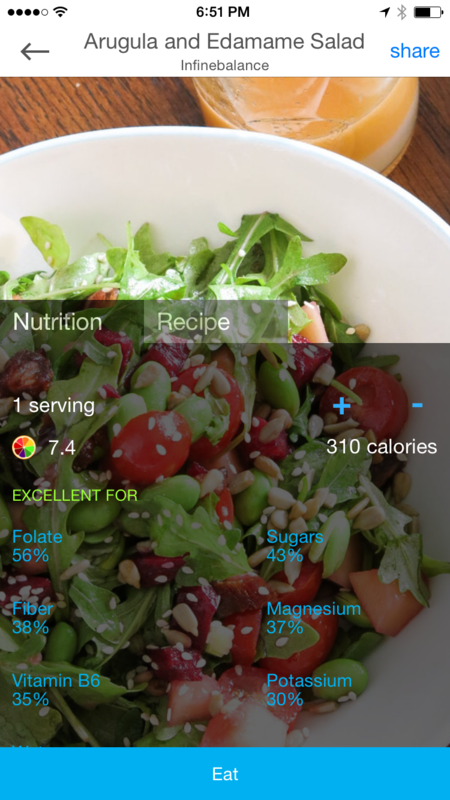 When you create a recipe, the app calculates the recipe's nutrition and overall health score. You can track the entire recipe with just one-click. Wholesome includes community recipes and also allows you to connect with Facebook to see your friends' recipes. Find out if you're getting enough protein, iron, vitamin B12, omega 3's, calcium, and zinc in your diet. Set your profile to vegetarian and Wholesome will suggest vegetarian foods to fill your nutrition gaps.